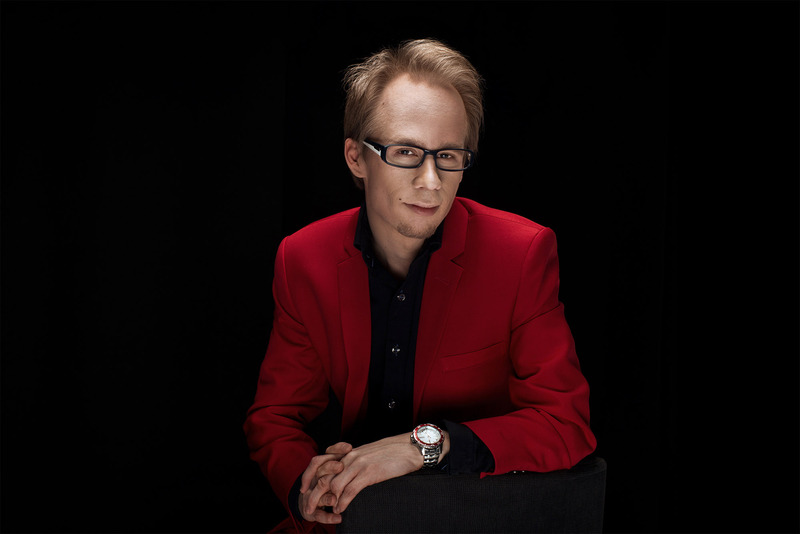 Risto Leppänen developed a passion for magic at the tender age of 6 after seeing a magician perform in a children`s hospital. Hobby magically turned into a full-time profession and now, over 25 years later, Risto is one of the most sought-after magicians working in Finland. 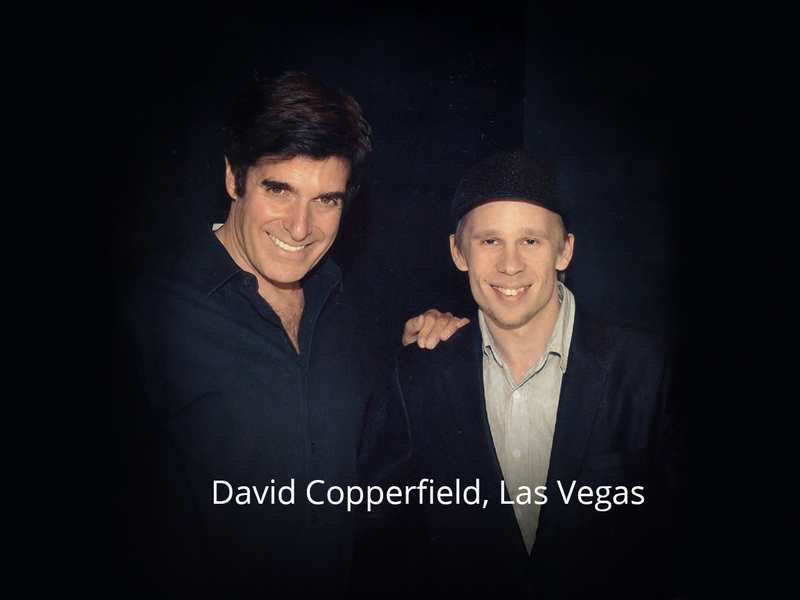 His mission to bring joy and amazement to international corporate events has taken him around the world. Risto provides entertainment for companies, TV and private clients including members of parliament and NHL Stanley Cup winning players. He has been praised by the public and other artists alike for his energetic stage presence and character. Risto has been awarded with Finnish Championships of magic in all three categories: Stage magic, Close-up magic and Restaurant magic. His refreshing mix of illusions and comedy is guaranteed to bring laughter and astonishment to your event! Magic, humour and audience participation. Risto`s Stand-up magic act lasts for 15-35 minutes. This act can be presented to an audience of dozens or hundreds English-speaking guests. Stand-up magic is particularly appropriate for large parties and banquets. Let’s make your event memorable with a unique touch of magic. Truly flexible option suited for almost any event. Risto can perform from table to table or mix and mingle with your guests at cocktail parties. Everything happens right under the noses of participants and sometimes even in their own hands. 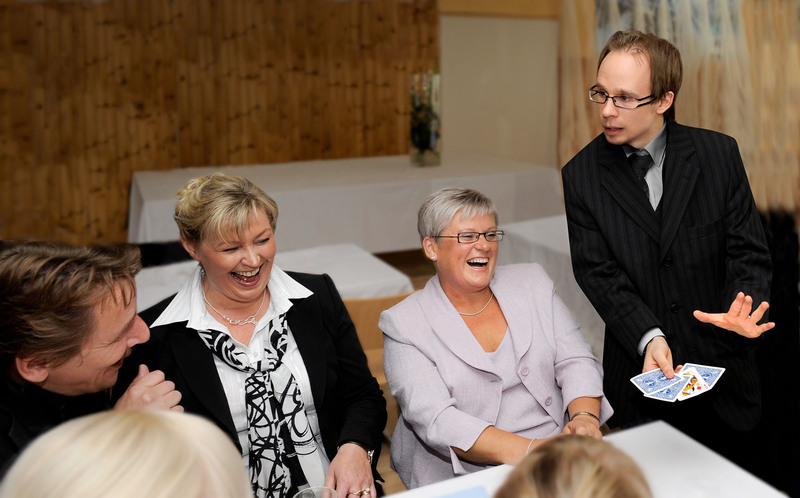 Close-up magic is an ideal way to break the ice and bring people together in shared laughter and surprise. The best result is achieved by first warming up the audience with some Close-up magic. The magical evening is then brought to a climax with magic on the stage.